Our 88th Annual General Meeting promises to be both informative and enjoyable for all members and student associates who attend; a wonderful opportunity to network with your peers. 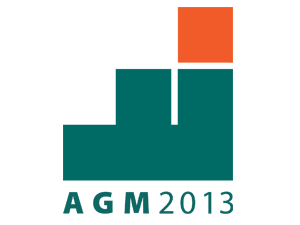 The AGM is your chance to see your association at work for you. All RNs who are members of RNAO are invited to attend. President Rhonda Seidman-Carlson will provide an overview of the year's achievements and will share what priorities lie ahead. More than a dozen RNs from every facet of our health-care system will be recognized from those who work directly with patients to RNs working in administration as well as those working to shape the future of the nursing profession in education and research. Unable to attend in person but still want to participate? Join us online as we livestream sessions from both Thursday and Friday. Check out the agenda to determine what sessions you want to tune-in to. Bookmark the livestream link today. Successes reached could not have been realized without the ongoing hard work and dedication of members/volunteers like you. Our annual report is available for all to see. We are proud to deliver this comprehensive report on our organization's activities throughout the preceding year. Included in this report, you will find a collection of both the activities from the past year as well as the financial performance of the organization. President-elect Vanessa Burkoski brings warm greetings for the 2013 Annual General Meeting. See the video. Each year, we honour and celebrate outstanding journalism, volunteers, individuals and groups that contribute to a better understanding of nurses and the challenges and triumphs of working in today’s health-care system. RNAO now exclusively uses an online AGM registration system for this event. Please note that any room sharing is to be organized by individual attendees, due to the volume of attendance at this event, RNAO cannot assist in this process. All costs associated with accommodations for general members are at the cost of the attendee. Book your accommodation at the Hilton online now. Did you miss the AGM? Check out the video archive page for some of the highlights of the event. You can also see photo galleries from the events on both Thursday and Friday.